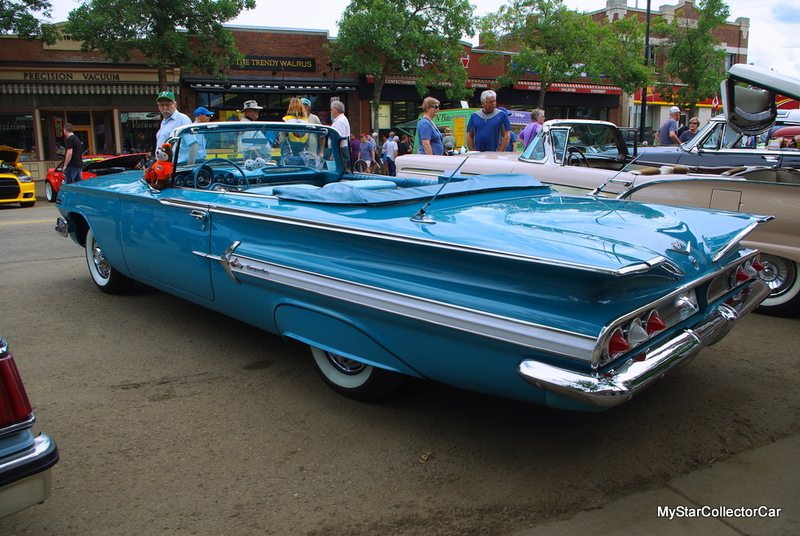 A 1960 Chevy Impala convertible was built during an era when most car owners drove four-door sedans or station wagons because they lived practical lives and transported plenty of kids during the Baby Boom era. 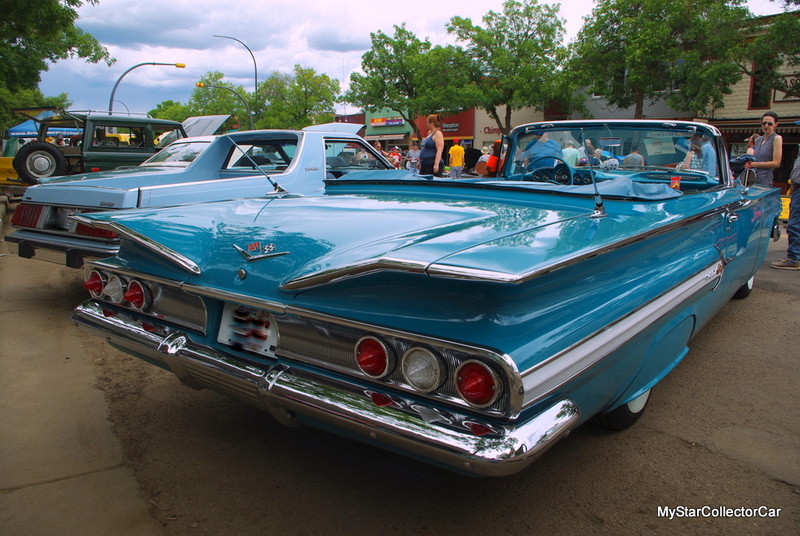 A blinged-out 1960 Chevy Impala convertible was not in the cards for a typical car owner so these cool drop tops were driven by people who had not yet embraced the practical side of car ownership. 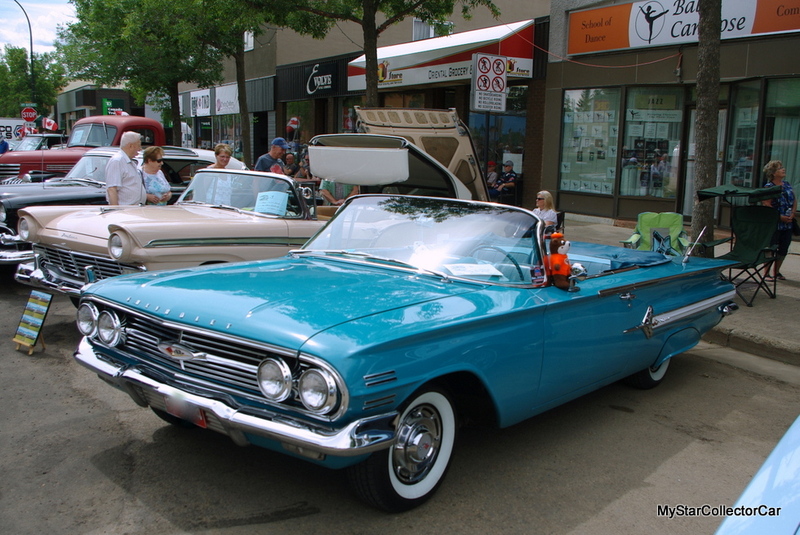 Instead the convertible owners decided to embrace a flashier lifestyle and an Impala convertible was the right choice for them. 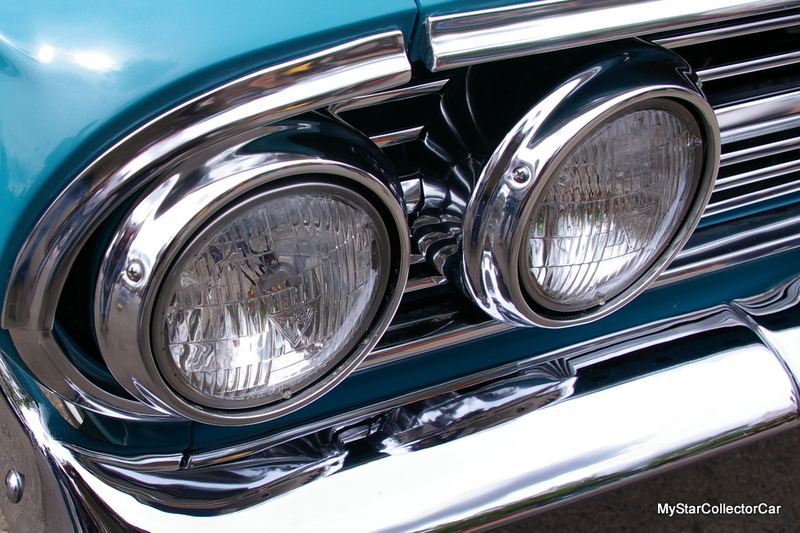 Many decades have passed since the dawn of the ’60 Impala convertible and most of the cars have vanished from the road many years ago. 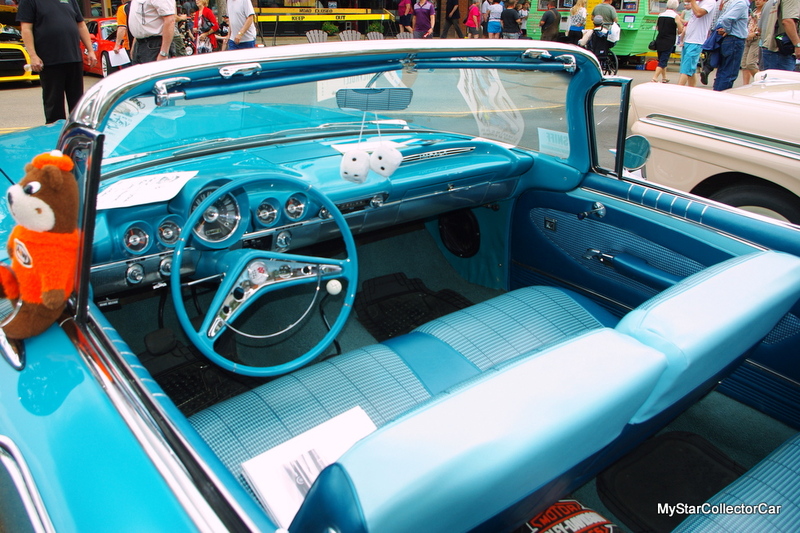 The cars were built to showcase a flashy lifestyle and became an outdated vehicle very quickly in the early 1960s when every year meant significant style changes to most of Detroit’s finest. 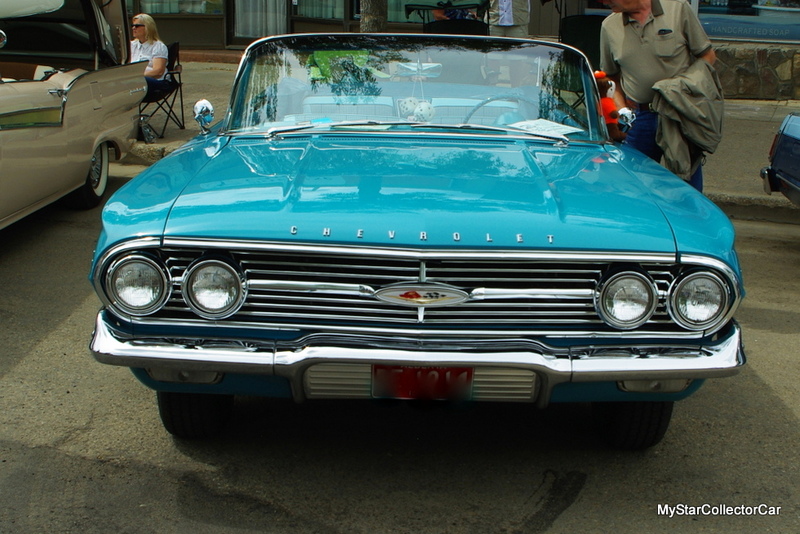 A highly restored 1960 Chevy Impala convertible gathered plenty of onlookers in today’s world because it was a very unique car built during a bygone automotive era. 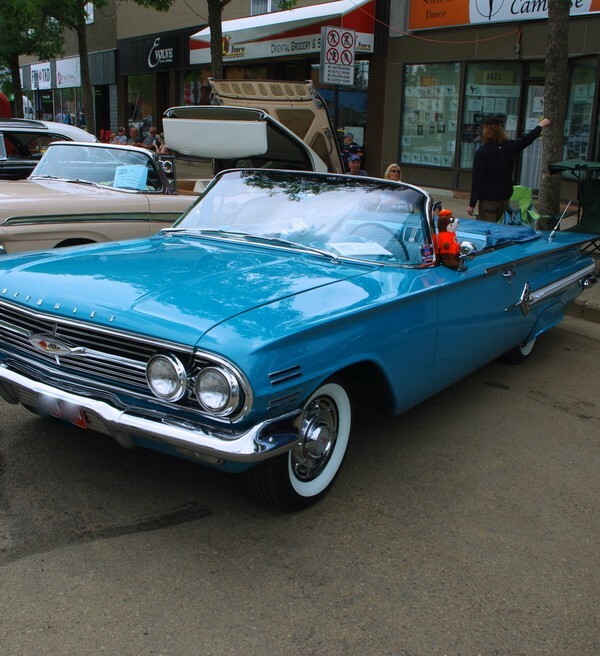 Doug Hoyme was the owner of the ‘60 Impala and he had many reasons to be very proud of his stylish convertible. Doug’s goal was to own a factory-correct car and MyStarCollectorCar believes he succeeded at his task in a big way. The Impala was completely re-built by its former owner who gave it a frame-off restoration in 2007. The car was placed in storage for many years prior to its restoration and required a major restoration to get it ready for the road. “It was pretty rough”, in Doug’s expert opinion and required a major effort to restore it back to a suitable level. However, Doug is “pretty particular”, in his words, and decided to bring the Impala to the highest possible level of quality when he became its owner a few years ago. The original equipment jack is a testimony to Doug’s thorough attention to detail. Doug repainted the car and brought out the best in the paint finish last spring when he wet-sanded and polished the car to a show-winning level. He added there “isn’t anything that hasn’t been touched” during the restoration process. It even has the much coveted original equipment T-3 headlights. 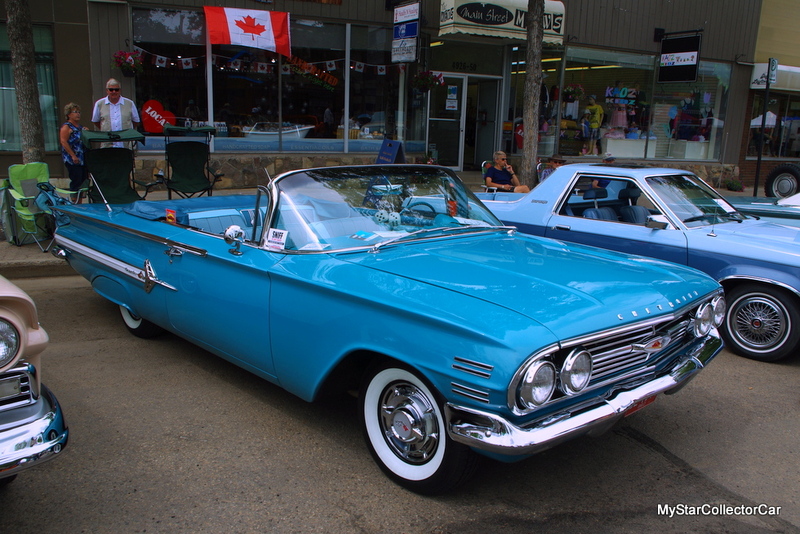 Doug always had a fondness for the 1960 Impala because his first car was a black ’60 Impala convertible. He only had the car for two weeks before he crashed it and cut short his ownership in a big way. Doug always felt a need to find another ’60 Chevy convertible and began a long search for a replacement car. He wanted a very specific Impala so his hunt for the perfect replacement Impala took longer than anticipated for Doug. His vintage Impala met all of Doug’s requirements and was worth the long search. The Impala still has its famous and original 348 Tri-Power carb engine bolted up to its original T-10 four-speed manual transmission. 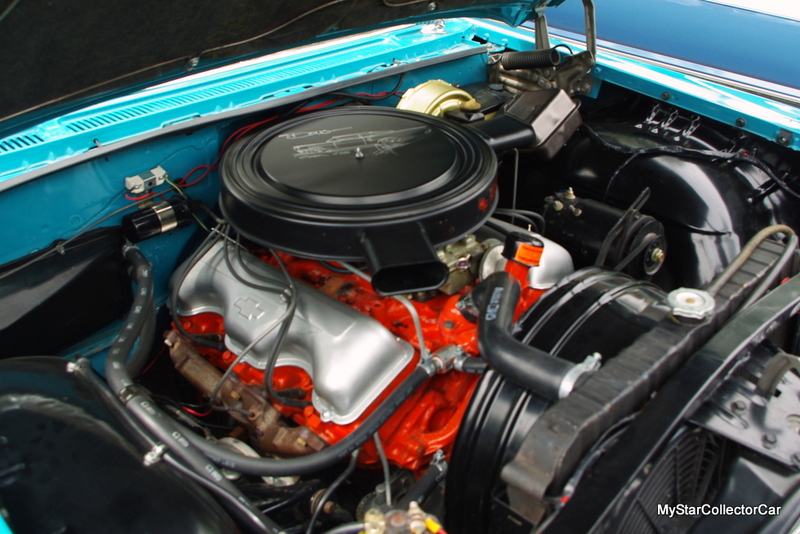 Both have been rebuilt to ensure their reliability under load plus the air cleaner was signed by Chip Foose. The car is a pleasure to drive and provides plenty of smiles (if not miles per gallon) along the way. 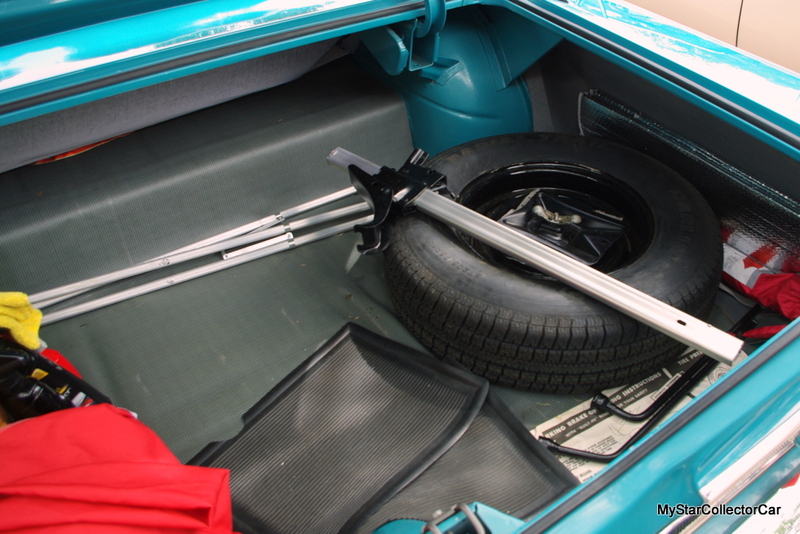 The ’60 Impala convertible is also a very cool trip down memory lane for its lucky owner who finally found his dream car.